Bryan J. 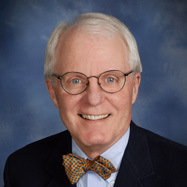 Van Deun, Ed.D., spent 42 years in educational administration and nonprofit fundraising leadership positions in New Jersey, Pennsylvania, Iowa, Wisconsin, Minnesota and Nebraska. He developed his biblical world view and understanding of life issues by watching his parents lovingly raise his handicapped sister; this made him realize that God loves all his creations and he makes no mistakes. In his retirement Bryan is working to recruit and elect legislators who share his fiscal and social values based on the teachings of Jesus Christ and the Constitutions of the United States and Nebraska.